Fabio Grosso, the unlikely hero of Italy's victory in the 2006 World Cup in Germany, was born on this day in 1977 in Rome. Selected for Marcello Lippi's squad for the Finals as cover for first-choice left-back Gianluca Zambrotta, Grosso eventually secured a place in Lippi's team and went on to score one of the most important goals in Italy's World Cup history as they beat the hosts, Germany, to reach the final. He then secured his place in Azzurri folklore by scoring the winning penalty in the final against France as Italy lifted the trophy for the fourth time, equalling Brazil's record. Yet Grosso arrived at the finals as a player who, if not an unknown, seldom attracted attention and had enjoyed a career that was respectable but certainly not eye-catching. Five years before 2006, he was playing in Serie C for Chieti, in the town in Abruzzo where he grew up, and only two and a half years before the tournament he left Serie A side Perugia to play for Palermo in Serie B. Nonetheless, Palermo did win promotion to Serie A soon after Grosso arrived and at the same time he quietly established himself as Lippi's first choice at left back in the 2006 World Cup qualifying competition. Yet his solid performances seldom making headlines. Commentators have speculated that some Italian fans might not have even recognised him before 2006. Even after the finals, when he earned a €5 million move to Internazionale, his career was notable for its fits and starts. He won championships with Inter under Roberto Mancini and then in France with Olympique Lyon but at both clubs he quickly fell out of favour. Inter sold him after one season, Lyon after two. 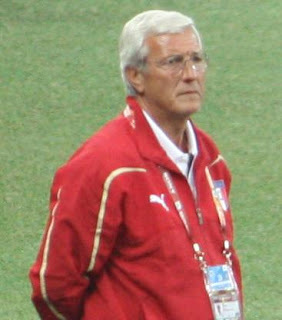 At international level, he retained Lippi's loyalty in the qualifying campaign for the 2010 World Cup but was not selected in the final squad for South Africa. After Lyon, he joined Juventus, where he enjoyed a respectable first season but figured in fewer matches in his second campaign and was rarely selected after Antonio Conte took charge in the summer of 2011. After making just two appearances in the 2011-12 campaign, he announced his retirement. Yet thanks to the 2006 World Cup, his career will never be forgotten. Picked for the opening group match after Zambrotta had been injured in training, he then benefited from right-back Cristian Zaccardo's poor form, which persuaded Lippi to switch Zambrotta from his normal position and play Grosso at left-back. His first important contribution came in the round-of-16 match against Australia, when he won a disputed penalty in stoppage time that enabled Italy to scrape into the quarter-finals. The semi-final goal in Dortmund that made him a star came with a penalty shoot-out just two minutes away after a match that had been goalless but full of dramatic excitement, with Germany desperate to reach the Final in their own country. It stemmed from a corner on the right that found its way to playmaker Andrea Pirlo on the edge of the penalty area. 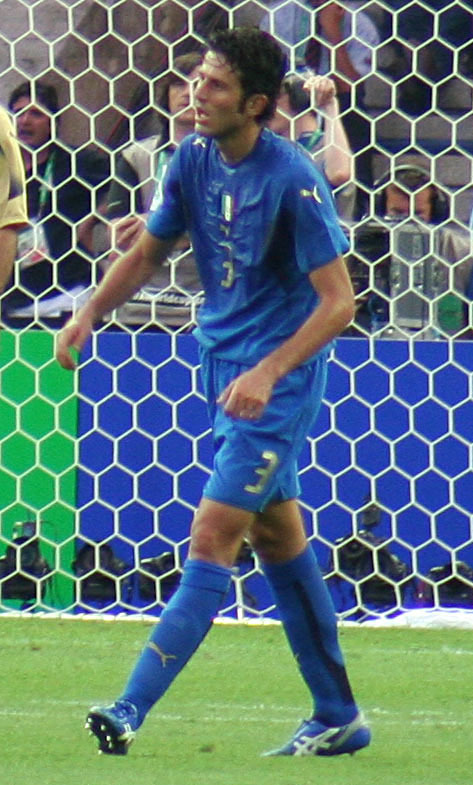 Pirlo kept the ball at his feet before he spotted Grosso in a yard of space inside the box to the right, threading the ball to him between two defenders. Grosso admitted to half closing his eyes as he swung his left foot, aiming at where he hoped the far corner of the goal might be. His guesswork and delivery could not have been better, the ball curling inside the post just out of the reach of goalkeeper Jens Lehmann's dive. Grosso ran away, repeatedly shouting 'Non ci credo' - 'I don't believe it' - in a celebration reminiscent of Marco Tardelli after his goal in the 1982 final in Spain, before teammates piled on top of him. Moments later, Alessandro Del Piero scored Italy's second goal on a break from defence as Germany threw all their players forward in search of an equaliser. The quality of Grosso's shot took some fans by surprise but he had been a goalscoring winger in his early career, scoring 47 times in 108 games for Renato Curi Angolana in regional football in Abruzzo. Only when he had joined Perugia was he converted to a full back. It impressed Lippi enough to name him as the man to take the often crucial fifth penalty, and after David Trezeguet's miss for France gave Grosso the chance to win the match and the trophy for Italy, he kept his cool and duly scored, to be the man of the moment for the second time. Married with two children, Grosso returned to Juventus in 2014 to join the coaching staff. He is currently in charge of the Primavera (Under-20s) team, having turned down the chance to coach Crotone in Serie A earlier this year. Chieti is among the most historic Italian cities, supposedly founded in 1181BC by the Homeric Greek hero Achilles. Among its main sights are a Gothic Cathedral, rebuilt after earthquake damage in the 18th century on the sight of a church that dates back to the 11th century, and the Villa Comunale, a neo-classical palace of the 19th century that is home to the National Archaeological Museum of Abruzzo. Perugia, an ancient city that sits on a high hilltop midway between Rome and Florence, has a history that goes back to the Etruscan times, when it was one of the most powerful cities of the period. 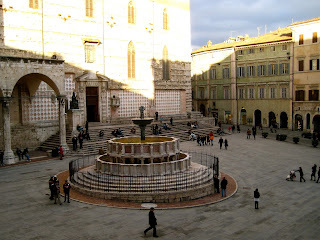 It is also a university town with a long history, the University of Perugia having been founded in 1308. The presence of the University for Foreigners and a number of smaller colleges gives Perugia a student population of more than 40,000. The centre of the city, Piazza IV Novembre, has an interesting medieval fountain, the Fontana Maggiore, which was sculpted by Nicolo and Giovanni Pisano.